LOS ANGELES (October 2, 2017) — The Association of Sites Advocating Child Protection (ASACP) is pleased to announce its Featured Sponsors for the month of October 2017. 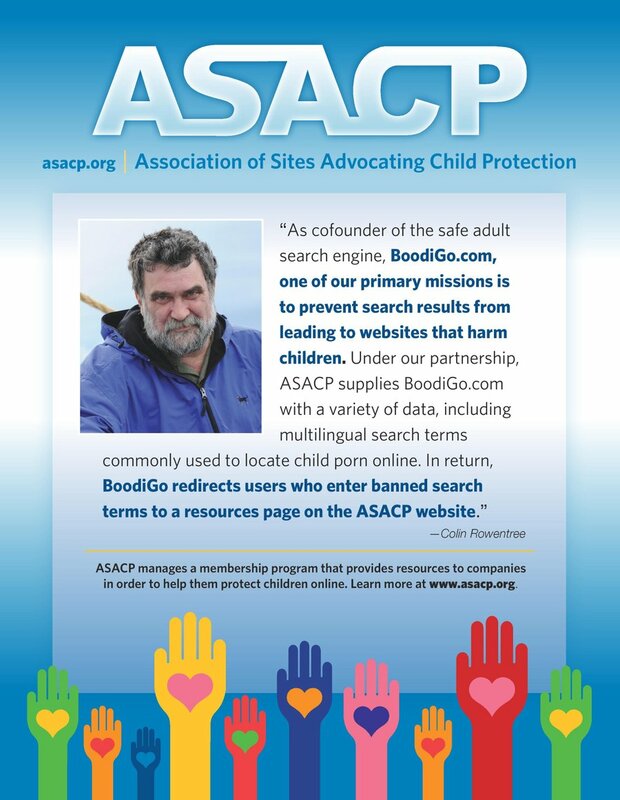 Each month, the association recognizes a selection of Featured Sponsors that demonstrate how adult entertainment professionals are committed to the cause of child protection — and operating on the front lines of this noble need, are able to improve the safety of children’s daily digital lives. ASACP’s Executive Director Tim Henning notes that ASACP’s Featured Sponsors not only do their part to protect children but through their support of the association, enable its many in-demand services. These services include the award-winning Restricted To Adults (RTA) meta label that filters out age-restricted materials, along with market-specific Best Practices and a universal Code of Ethics that guides companies towards child-safe operation. Additionally, the non-profit association’s 21-year-long record of success is highlighted by its globally recognized Child Exploitation Tipline, which has processed more than one million CP reports to-date — illustrating the value of the association and the effective use it makes of the support it receives. For October, ASACP is pleased to honor Fleshlight, FUBAR, and YNOT Group, as Featured Sponsors, recognizing their continued support of the association and expressing gratitude for the commitment these companies show to make the internet safer for children. Celebrating a decade of ASACP sponsorship in 2017, Fleshlight and its parent Interactive Life Forms, is an established leader in the field of sexual health and fulfillment, and serves as a positive example for other adult novelty companies to follow. On the forefront of the development of haptic devices, Fleshlight bridges traditional novelties with the newest technology, to bolster connections between people around the world. An ASACP Corporate Sponsor since 2009, FUBAR Webmasters offers an online resource site for party, conference, convention, and event pictures and news relating to adult website owners, operators, affiliates and service providers. An ASACP Media Sponsor since 2016, the YNOT brand was founded in 1996, with a goal of providing website developers with a central hub where they could network and promote ethical business practices in what was then a largely lawless internet. Today the company offers a variety of B2B services for adult businesses anchored by its flagship website YNOT.com, providing industry news, forums and more.